In a world of Uber’s, Amazon’s, and personalised B2C sales experiences, the B2B INDUSTRY is still playing catch-up. 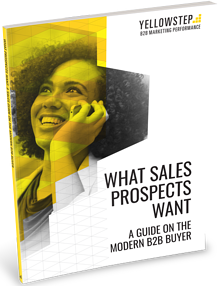 This guide will give you statistics, reports and quotes from top industry figures to show you how modern B2B buyers buy, and therefore how differently sellers should sell. Get ahead of the competition by with these insights into the modern B2B buyer.